How to Grind Meat for Summer Sausage? One or two grinds for summer sausage? 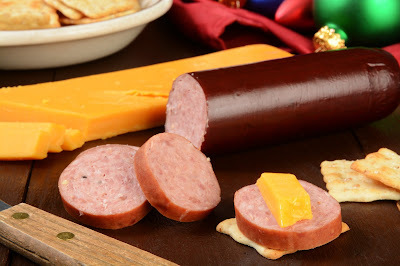 Summer sausage is a twice ground product, but the real secret is to mix very, very, very well. The reason we mix the product so much after grinding twice is to extract as much protein from the product as possible. This protein extraction will help to bind the product together and keep it from crumbling apart after you remove it from the smokehouse, it should slice more like a lunch meat. Also keep in mind to add enough water. This is a big problem when making large diameter products - it takes so long to get them up to temperature. If you don't have enough water in the batch, the product will just dry out. We just released a new Advanced Sausage and Jerky Processing DVD that would be well worth the watch. It sounds like you enjoy making your own items, so it's really worth having. There are way too many little tips and tricks to share by text here. Video is the way to go! I want to follow your directions for making venison hot dogs. In your video you use bacon ends for the fat. What ratio would I use? and my second question is how long do they stay in the smoker and at what temperature? 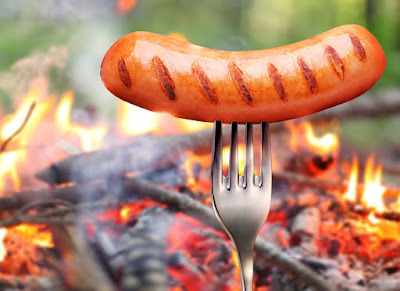 Venison Hot Dogs are a tricky product to make, but if done correctly they are very tasty! Step one is to grind the meat fine enough, 4 times through the Weston fine grinder plate will work well. Step two is make sure you use enough non-fat dry milk or other equivalent binder along with your seasoning mix to keep the product nice and firm so the fat doesn't run out when it hits the heat in the smoker. Step three is to only smoke long enough to firm the product in the casing. No hotter than 160F and then use a CanCooker for the steam, or use a warm water bath, around 180F and place the dogs in the hot water until you reach a 156F internal temperature. If you are adding bacon ends or any type of fat content always remember the 80/20 rule. If you have 8lbs of good lean venison meat, add approximately 2lbs of fatty trim to get your 80/20 blend. Good luck and I like mine with ketchup, mustard and onions! Enjoy. 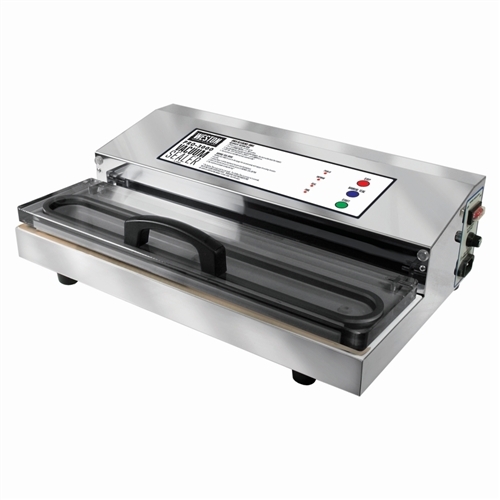 Looking for a nice vacuum sealer. Any advice? I do have some solid advice in that department. I have used the Weston 2300 series vacuum machine for years and it's a true commercial machine! I love it, lots of power and it keeps on going and going with no issues at all. I have also used the Weston Realtree model many times as well in the kitchen for packaging leftovers, marinating steaks and packaging bulk foods. I love all the canister attachments that are available for the Realtree model. Really, when making your selection, it will depend on how much work you're going to do. If you are going to seal a couple hundred packages a year, I would go for the Pro-series machine. If you are just looking for kitchen use, I would get the Realtree model from Weston. They are both great machines! Thanks for the question Kathie.